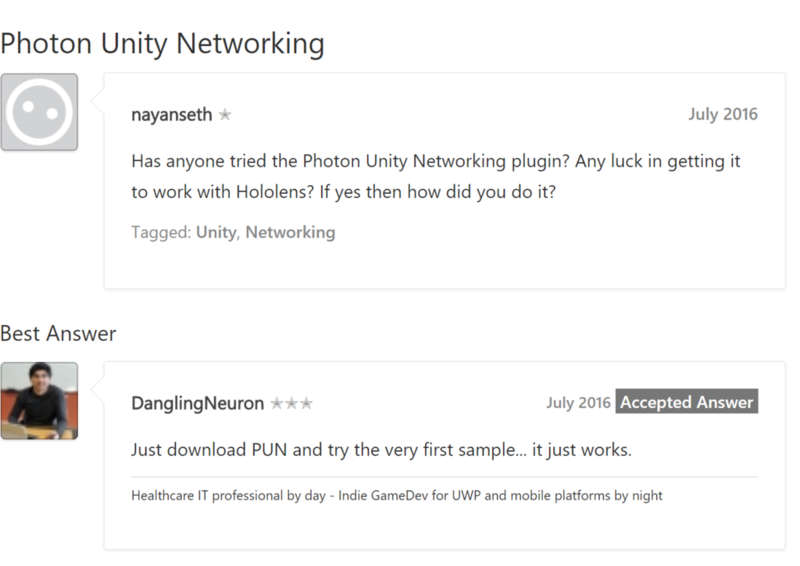 Has anyone tried the Photon Unity Networking plugin? Any luck in getting it to work with HoloLens? If yes then how did you do it? Just download PUN and try the very first sample... it just works. Uncheck all scenes but "DemoBoxes"
// only use PhotonNetwork.Instantiate while in a room.